Instagram has come quite a ways since it first entered the stage in 2010. Starting as a photo-sharing social space, it has now grown into a crucial platform for businesses and nonprofits alike to share their product/services, initiatives, company culture, and mission. In order to truly maximize your nonprofits potential on this social platform, be sure to leave the following poor practices behind this year. Instagram Stories allow you to upload fun snapshots of your organization without the fear of spamming your followers. Stories disappear after 24 hours and do not stay permanently on your profile, so they are perfect for “behind the scenes” looks of your organization’s activities. REMEMBER: This should be a place where your organization’s human side really shines. Avoid sharing overly polished photos, scripted video, or graphics that resemble ads. People use Stories to interact with people, not brands. So have fun with it! Pro Tip: For longer term engagement, save and organize your stories as “Highlights” that will remain on your page after 24 hours. This is an opportunity to show potential supporters who you are and what you’re up to in just a few clicks. Fact: Instagram posts with at least one hashtag earn 12.6 percent more engagement than posts without one. But there is a wrong way to use them. Sure, oversaturating your post with 30 hashtags is one way to get some eyes on your post, but will that really convert to quality engagement that supports your nonprofit’s mission? Unlikely. Use hashtags relevant to your field so that your content will be discoverable by people interested in your cause. Use hashtags that are relevant to your geographic community. When in doubt, use Instagram’s search section to look up a hashtag and see if it is widely used, or if there is a better variation of the hashtag that fits your goals. If your nonprofit has a branded hashtag, share it with your followers and encourage them to use it. For more handy tips, check out this hashtag guide from Sprout Social to help you find the right balance for your nonprofit’s brand. Donors and volunteers want a relationship with the nonprofits they support. Be sure to respond to comments promptly, tag other accounts in your posts, and repost content. Pro Tip: Include user-generated content (UGC) in your engagement strategy. For example, you can repost content of your supporters attending events, volunteering, or otherwise getting involved in your mission. This increases credibility among your other followers, while highlighting your impact in the community. Be real. Your following wants transparency and authenticity, not carefully polished and posed shots of your team with a filter thrown over it. Opt for more candid, human shots of your team doing what they do best. Show impact. Your following wants to see how their support is making a difference. If you are organizing a food drive for example, snap a few photos of your team delivering those goods, or a video of a meal being prepared. Make your supporters feel included every step of the way. Share high-resolution photos. It’s no secret that Instagram is a place where high quality images are valued. When you can, share your best quality images—even candid photos should be well lit, not grainy, in focus, etc. Pro Tip: Try sharing photos with Instagram’s portrait orientation (1080px wide x 1350px tall). 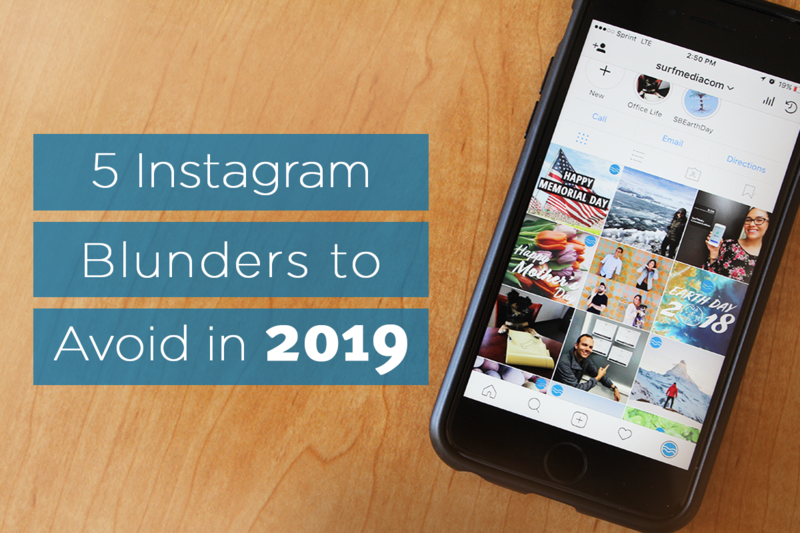 This size is optimal because it simply takes up more space in Instagram’s feed and can be a simple and easy way to catch your followings eye while they are scrolling through photos. Instagram now offers Insights if your account is set up as a business profile (which, if you’re a nonprofit, it should be!). Use this information to get to know your followers and to track the success of your marketing efforts. For our nonprofit clients, we recommend looking into more comprehensive analytics tools such as the ones offered by Sprout Social, Hootsuite, or Google Analytics. Need help analyzing your metrics or revamping your larger social media strategy? Contact us today for a no-obligation consultation. Public Relations, Digital Marketing, Press Events and more – we can help you implement a strategy for engagement and growth.